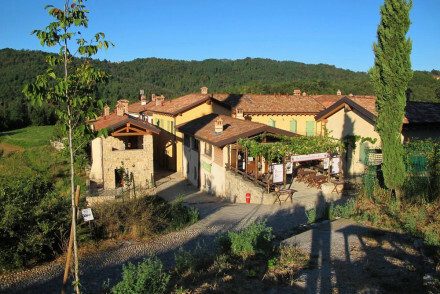 The best places to stay in Lombardy are as varied as the terrain, but our Guru’s rexcommendations favour independent hotels, a number of which have a long tradition in providing hospitality. Lombardy spreads from Switzerland and the Alps to the flat, agricultural plains of the Po Valley. Within that varied stretch are the wonderful Italian Lakes of Como, Garda, Maggiore and Iseo and the ski resorts of Bormio and Livigno. There’s also a wine region and a number of World Heritage Sites. Lombardy’s capital is fashionable and outward looking Milan. 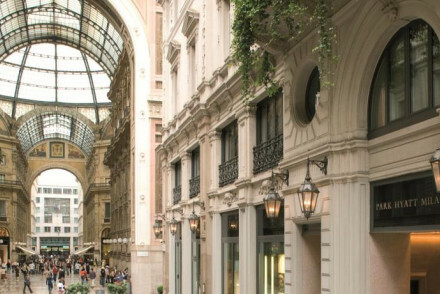 Milan has the feel of a busy international city, but if you look beyond the hip hotels, even hipper restaurants and high design boutiques you’ll see its historic side. Many of Milan's architectural treasures can be found around the grand Gothic cathedral but the city also has an incredible art collection and a wonderful opera house. And of course all that shopping. Just 15km from Milan (only 10 mins by train) is Monza, current home to the Italian Grand Prix and a charming city of lovely architecture and green spaces. The numerous beautiful lakes! Zooming out of the tunnel on the train from Milan, Lake Como is laid out in front of you in all her spectacular beauty. Beauty based not solely on natural assets - the pristine waters, the mountainous backdrop, the sprinkling of small islands - but also on the charm of the little towns surrounding it. Just to the north is Lake Garda, largest of Lombardy’s lakes and a sun drenched playground of vineyard, olive groves and cypresses with the Dolomites on one side. All of which makes it look more like southern Italy than northern Italy. Then there’s Lake Maggiore, known for its lush climate, exotic plants and fairytale towns and resorts and Lake Iseo, preferred by Italian holidaymakers and very lush and green. 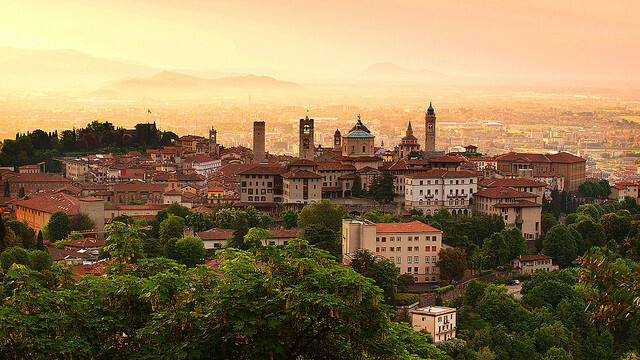 Don't forget architecturally beautiful Bergamo, overlooking the southern plains and offering wonderful views, wonderful art, and some wonderful dining opportunities. Brescia with its fascinating old town, Mantova or Mantua, one of the most important centres of the Italian Renaissance, and looking well and truly the part, Cremona, with its wonderfully historic centre, and Pavia, founded by the Romans and occupying an important strategic position slap bang in the middle of an agricultural plain. Whether you're visiting for a chic city break or a spot of rural relaxation, the best places to stay in Lombardy are popular destinations, so do yourself a favour and plan well ahead, so that you don't miss out. 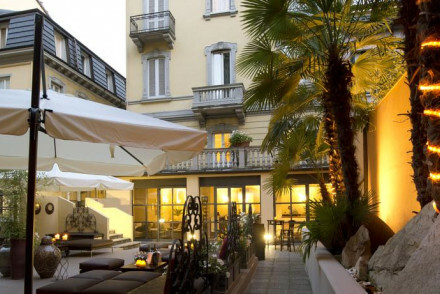 For a waterfront spot in Bellagio, Lake Como, you can't get much better than Hotel Florence. It boasts elegant interiors, gorgeous views, and it won't break the bank! 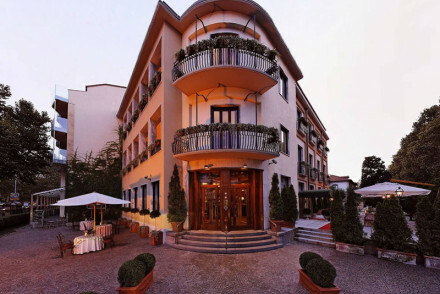 Owned by the same family for four generations, the Albergo Olivedo is a ten room townhouse hotel beside Lake Como. In Torri del Benaco, one of Lake Garda's prettiest Verona side fishing villages, Gardesana is simple and charming, with superb views of the bustling little harbour and an excellent restaurant. 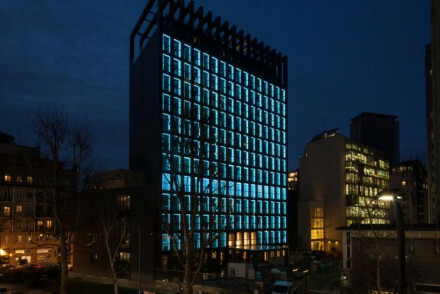 Milan’s Straf was declared Italy's most avant-garde hotel when it opened and it's still creating a stir today. Come here to rub shoulders with the fashionistas, designers et al who love the interiors where rough slate sits alongside burnished brass, iron and concrete. Or, you might try Bulgari, also in Milan - it's more about understated glamour. Here the emphasis is on chic sophistication. Plus it's the only hotel within the city walls to boast a garden. A sensational spa and great food complete the picture. 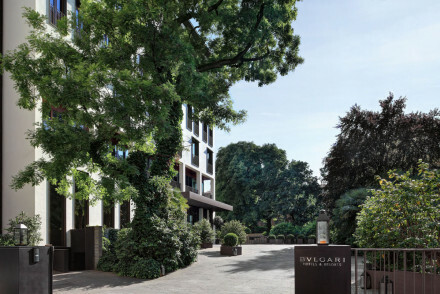 Alternatively, for central chic with an abundance of luxury Park Hyatt Milano is where classic meets contemporary design in a fabulously central location on the doorstep of the most prestigious shopping streets. Serene and airy interiors - palettes of cream, beige and soft greys. Luxurious facilities include a spa and fitness centre, buzzy cocktail bar and good restaurant. 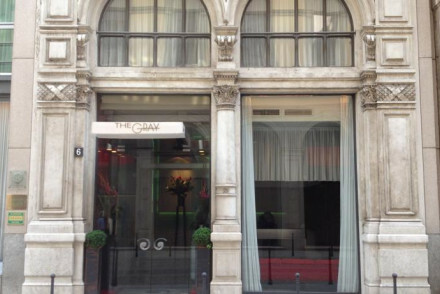 The Gray, Milan, is a hip, contemporary boutique hotel with a sense of fun in a central location. Neutral palettes with splashes of bold colour bedeck the interiors. 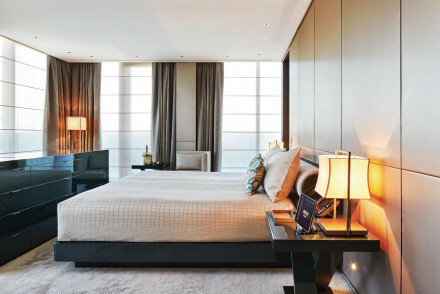 The bedrooms feature white ostrich leather, crocodile, steel and travertine. Two suites have private gyms, Turkish baths, or jacuzzis. Great food too. 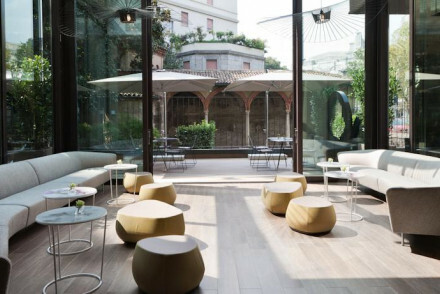 For fashion-lovers Hotel Spadari al Duomo is a contemporary hotel a few steps from the Duomo, the Fashion District and the Teatro alla Scala. 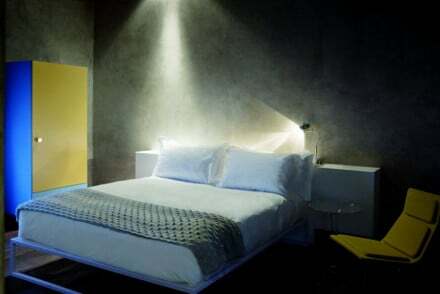 Rooms and suites in pastel colours dotted with modern art and high tech gadgetry. A good choice for those with a design conscience. The Gombit is a superb choice right in the centre of town. 13th century building on the outside, contemporary rooms and suites on the inside - it's a design lovers dream! Hotel de la Ville has been in the same family for generations and is steeped in history. Sumptuous rooms are filled with antqiues and oil paintings, and the restaurant is gourmet. The Eden Hotel is a smart modern property ideally located for all the outdoors activities on offer. Rooms are cosy, plus there's an excellent restaurant and spa for easing weary limbs. 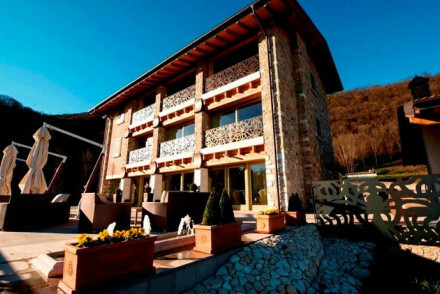 Hotel Sonne is a contemporary chalet style property in the centre of Liviigno, ideally located for access to the ski lifts. Rooms are cosy and romantic with plenty of wood, and muted hues. Plus there's a sensational spa and wonderful views. If you're looking for ultimate luxury and relaxation in a truly glorious setting, the Casta Diva Resort and Spa in Lake Como is perfect. Naturally it's five stars, and its two restaurants are excellent. But it also has a wonderful floating swimming pool, and a subterranean spa hewn into the rock of the shoreline. The LIdo Palace offers five stars worth of wonder right on the shores of Lake Garda, at the foot of the mountains - this is really one of the planet's most idyllic settings. Behind the Liberty style facade are sleek, contemporary rooms, an award winning spa and a Michelin recommended restaurant. The Principe di Savoia is lavish, grandiose, and Five Star to the hilt. Rooms and suites with opulent fabrics and furnishings, terraces, restaurants, spa, meeting rooms, and more. For those with deep pockets and an eye for detail. 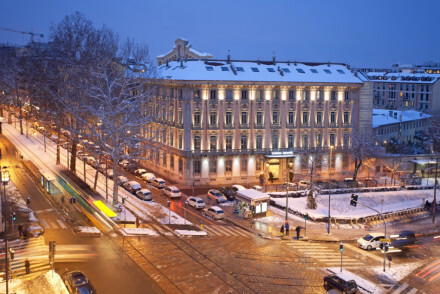 For a hotel fit for a Prince or Princess, the Chateau Monfort is a Five Star fairytale themed hotel just a short walk from the Piazza San Babila and Milan's famous designer shops. Elegant period features blend with 21st century luxury. Afternoon tea is a speciality. Cocktail bar, elegant wine bar and classic Italian cuisine. 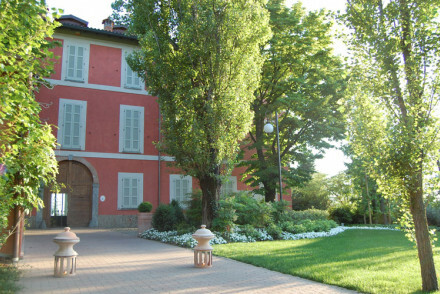 The Relais da Vittorio in Bergamo, is a world renowned restaurant with ten elegant, boutique style rooms. The restaurant has been in the family for generations, and they also offer guests access to a beautiful garden and a pool. The Hotel Verbano on an island in the middle of Lake Maggiore, is a restaurant with 12 charming rooms and the perfect choice for a foodie’s honeymoon. Combining country escape with a gourmet restaurant, Locanda de Mai Intees is a charmingly traditional private residence with an excellent gourmet restaurant. 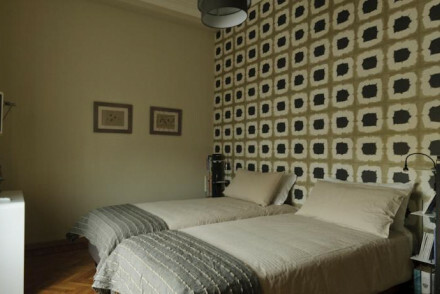 Rooms and suites have frescoed walls, mezzanine levels, wooden beams, parquet floors, and attractive fabrics. Plenty of activities, close to Lake Maggiore. Romantic, gourmet and family friendly. The Relais Florian Maison features an elegant restaurant with rooms, situated in pretty rural surrounds. Spacious rooms with hints of Italian grandeur alongside more simple contemporary design. A stunning restaurant serves modern Italian cuisine. Lovely walks and cycle trials will work up an appetite. A foodie's haven. 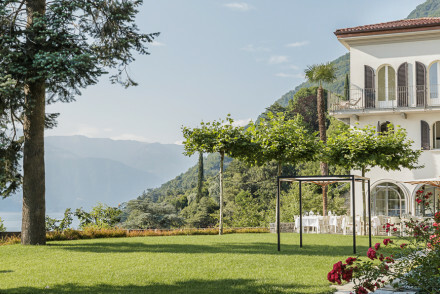 The Hotel Villa Simplicitas is nestled in the hills above Lake Como and Lake Lugano, this charming unpretentious country house offers simple, unfussy bedrooms with gorgeous garden views. Relax in the lounge or play a game of billiards. The restaurant serves Italian dishes out on the veranda. A laid-back retreat. If you enjoy a traditional rustic setting, Oasi di Galbusera Bianca is a delightful farmhouse hotel in the picturesque Lombardy countryside. Rooms mirror the hotel's rustic surroundings, with wooden furnishings and earthy colour schemes. In the evening, the restaurant serves up delicious organic vegetarian food. An ideal place for an authentic rural Italian experience. The Relais La California is a renovated private estate set amid 5 hectares of beautiful landscaped gardens and parkland, offering guests outdoor pool, modern restaurant, wellness centre plus pitch & putt golf area. Rooms are elegant and comfortable with stunning views. A country hideaway with easy access to Lake Como. 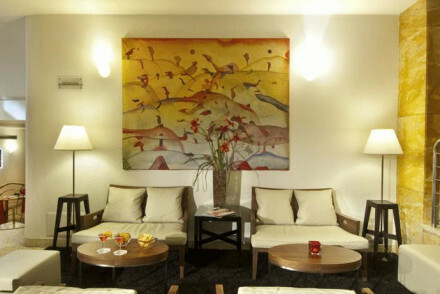 For visitors who want a chic country gettaway, C Hotel & Spa focuses on elegant minimalism. Bedrooms have floor to ceiling windows, chic stone tiling and the latest technology. Guests can enjoy the spa, swimming pool and gym. The restaurant menu combines contemporary flavours with traditional Italian cuisine. In Milan, the Grand Hotel et de Milan exudes bags of character and luxury - think rich fabrics, antiques and fine art on the walls. 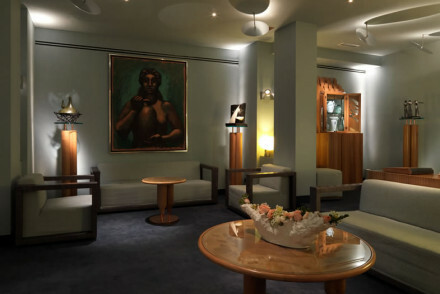 It is also only a stone's throw from La Scala so ideal for opera buffs. 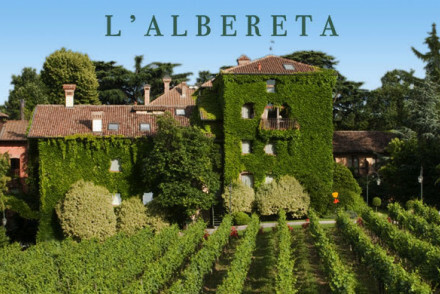 The L’Albereta is a very luxurious hotel that has almost made a religion out of wellbeing. A world-class spa and a kitchen operating under a chef named the ‘the Father of Modern Italian Cuisine’. 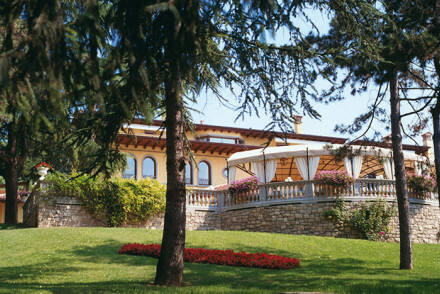 A spa and gourmet break off the beaten track between Bergamo and Brescia. Offering luxury and location, the Petit Palais is situated right in the heart of Milan, not far from the cathedral, art museums and the prestigious shopping quarter - come here for a luxurious, marble-laden city break. All 18 rooms are uniquely decorated in this 17th century townhouse with chandeliers, tapestries, parquet floors and period furniture. For couples, Hotel de la Ville has been in the same family for generations and overlooking the Royal House of Savoy in Monza, this property is steeped in history. Jam packed with antiques and oil paintings it has an air of grandness. High standards continue in the Derby Grill where head chef believes in seasonal cuisine. A lesson in timeless charm. 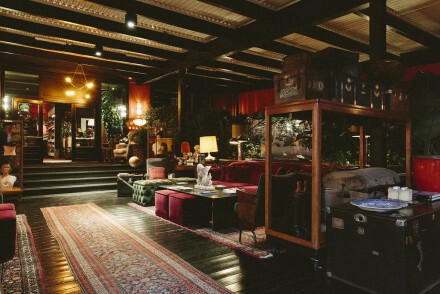 The Antica Locanda Solferino is an arty little guesthouse with bags of character in Milan's trendy boho area. 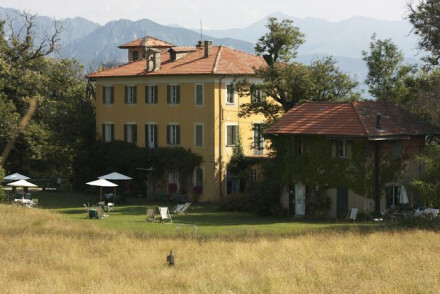 Rooms filled with country antiques, art nouveau pieces and a genuine taste of old Milan. Breakfasts served in the rooms. An excellent city spot with lots of old world charm. Great food and scenery combine at the Il Sole di Ranco, a lovely lakeside hotel and gourmet restaurant. 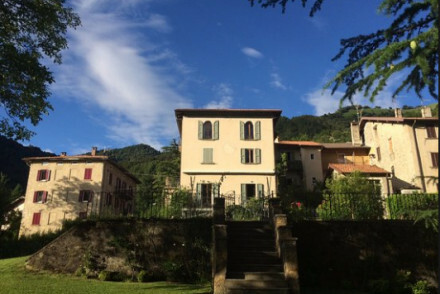 Romantic views over Maggiore, elegant understated bedrooms and suites, pool, excellent food served on the terrace, lots of fresh fish from the lake. A gourmet choice for families and total relaxation. 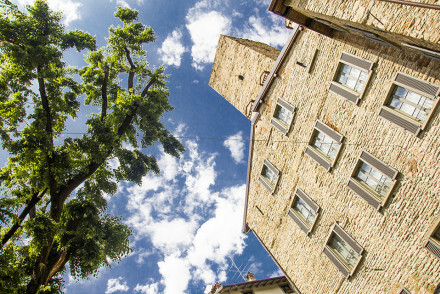 The GombitHotel is located in a medieval square this 13th century property is part of the history of Bergamo. Minimal rooms with neutral palettes create a modern, organic look using natural materials. Sculptures and quirky accents like a library ceiling clad in books inject colour. A regional breakfast is served. The Bella Riva has direct access to Lake Garda and the views are spectacular, from the pool, the restaurant and a number of private terraces. As well as views the Bella Riva also specialises in watersports. 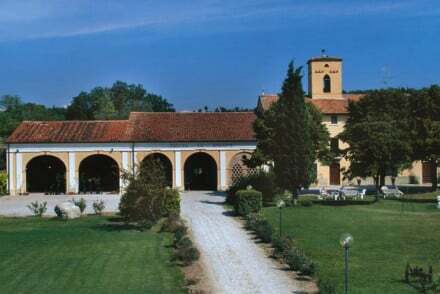 Tenuta Le Sorgive is an agriturismo only a short distance from Lake Garda, yet surrounded by countryside. This is a great place for a healthy, outdoorsy break, with lots of activities on offer and a restaurant which serves food grown right here! 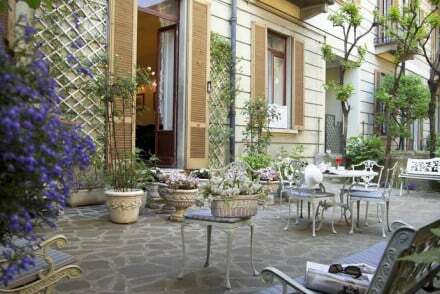 Antica Locanda dei Mercanti is a pretty and centrally located B&B that doesn’t break the bank, in central Milan. This old merchant's house, recently renovated, is contemporary country in style - creams, floral and wood floors. The spectacular suites on the top floor have wrought iron four posters and private terraces. A hotel that is hard to come by. For a homely experience, a stay at Casa Titta is like being welcomed into the home of a stylish and worldly friend. Four individually designed rooms furnished with period pieces and delicious breakfast included in the price. 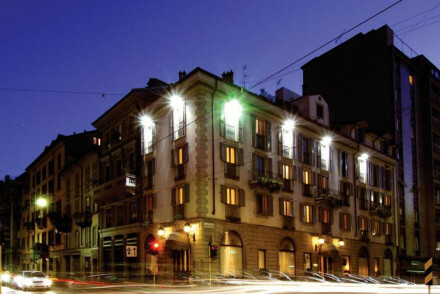 Perfect for solo travellers or couples wanting to experience an up-and-coming area of Milan. 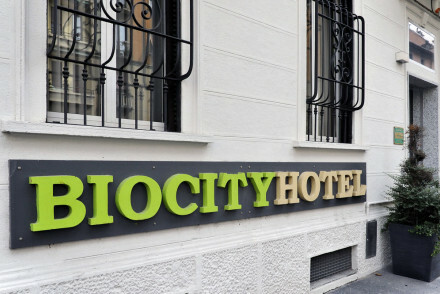 Style meets value at the Biocity - an Eco-city hotel in a 1920s building. Modern rooms are pristine and stylish with big bathrooms. Courtyard outside to enjoy an apertif, and sunny breakfast room. Sauna and small shop selling organic products. 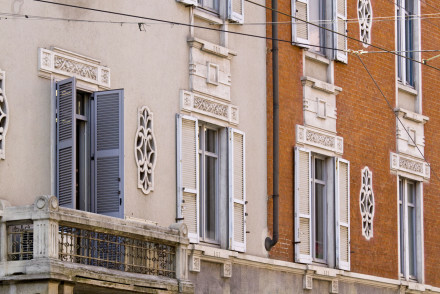 Very good value and well located to explore both the city of Milan and surrounding region. 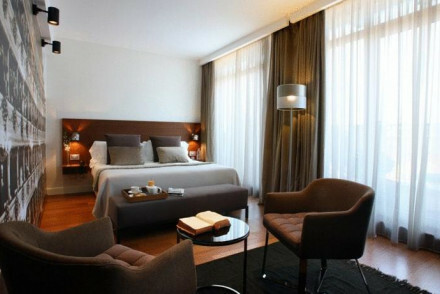 My Bed, offers stylish, incredibly good value accommodation in the heart of Milan. Rooms are spacious, clean and simple - some with private balconies. Parking is available close by. A fantastic choice for those looking to get out and sample the city's many restaurants, bars and shops. A good base for a city break. 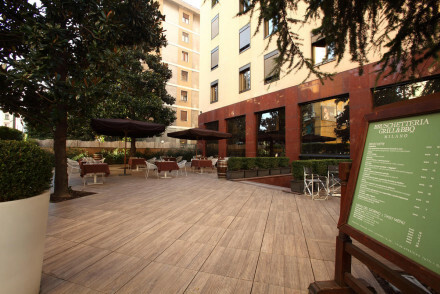 The Antica Locanda Leonardo is a pristine family-run guesthouse with a pretty courtyard garden in Milan's old quarter. Comfortable rooms showcase polished wooden floors and antique furniture, some overlook the garden. The triple suite is a good choice for families. An intimate stay and great value city spot. 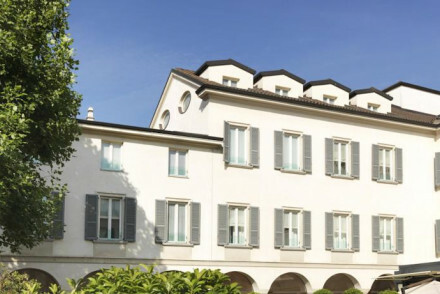 The Hotel Laurin, near Salò is perfect - elegant Lake Garda glamour on the outside, and frescoes and Art Deco furniture on the inside - yet it's big enough, and modern enough, and has enough of a garden and pool, to be ideal for families. The Relais La California is a renovated private estate set amid five hectares of beautifully landscaped gardens. There are just 20 elegant rooms with stunning views of the surrounding park, the putting green and the bowls lawn. 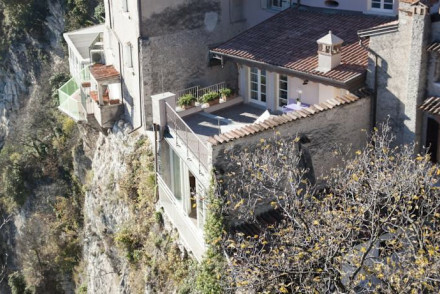 Easy access to Lake Como. An ideal base for people of all interests, Albergo Belvedere features a quaint little restaurant with rooms in a stunning location with views of Lake Maggiore. 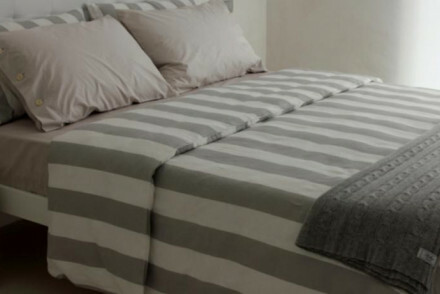 The simple and stylish rooms offer a laid back atmosphere. The renowned restaurant serves local food and boasts a terrace with panoramic views. A charming base for local explorers or more active types. 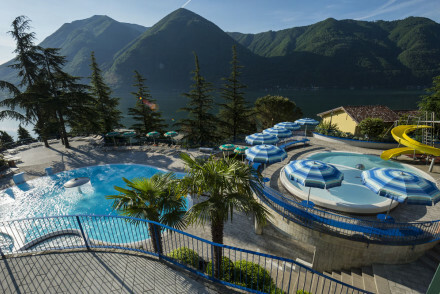 The Parco San Marco Lifestyle Beach Resort is an extensive resort sat within stunning surrounds beside Lake Lugano, with both lake and mountain views. Contemporary rooms are light and airy with floor to ceiling windows. A number of restaurants and bars with outdoor terraces. A private beach and a wealth of activities make it ideal for families. 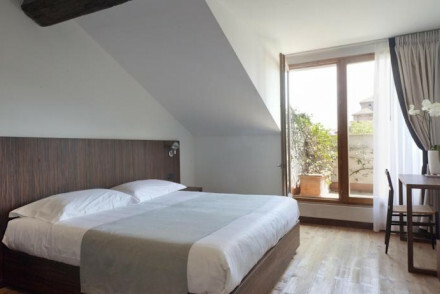 For families looking to explore Milan, Alle Meraviglie is a newly converted townhouse with pretty, reasonably priced rooms, decked in cream colour schemes with silk curtains, crisp bed linen, fresh flowers and wooden floors. Enjoy the complimentary breakfast before setting out on the town. An elegant choice to explore Milan from. 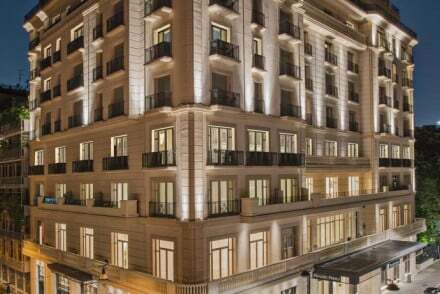 The Milano Scala is a large contemporary hotel in a traditional Milanese palazzo. Rooms and suites have plush furnishings, parquet floors, splashes of modern art, and private balconies overlooking the inner courtyard. Excellent restaurants, terraces, meeting rooms and wellness centre cater to just about any city visit. 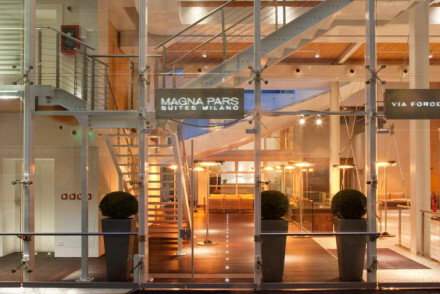 For central, high end suites, the Magna Pars Suites allow visitors to experience what life might be like for a fashion model or designer with a stay in these high-end suites in a converted perfume factory in the heart of Milan’s design district. Chic all white interiors offset by sofas in primary colours. A fashionistas dream come true! 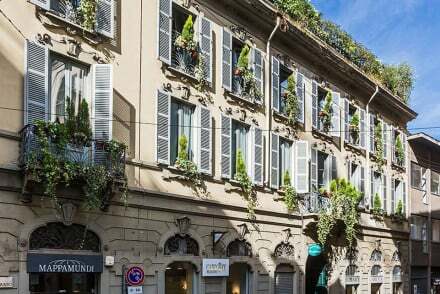 For those wanting to be close to everything the Palazzo Segreti is just steps away from Milan's fashion district, this is ancient Italy meeting sophisticated modern elegance. The stunning lighting and large, comfortable rooms create a calm ambience. 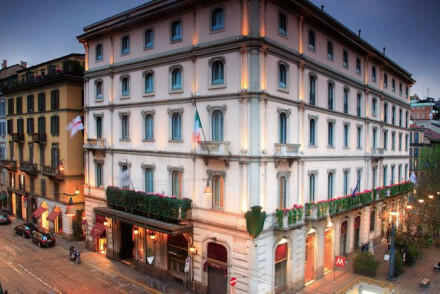 This intimate hotel is the perfect choice for those interested in luxury shopping, and excellent Italian restaurants. 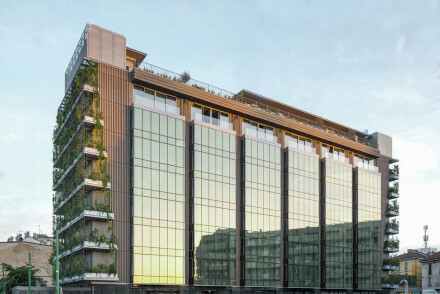 The LaGare Hotel is a smart new hotel convenient for Milan’s Central station. 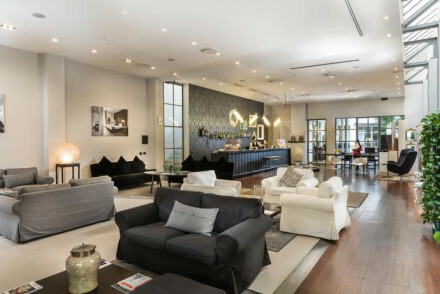 It boasts a basement spa and roof-top terrace with views across the Porta Nuova district. Slickly designed rooms in muted colours make an ideal base for either the business traveller or tourist. 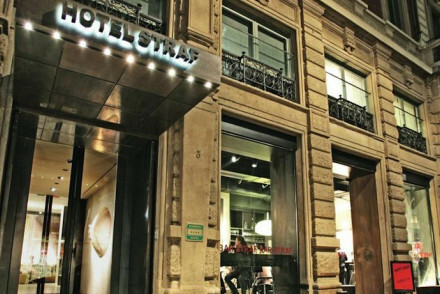 For those wanting to explore the famous shopping in Milan, Ritz Milan is a stylish, comfortable hotel is the perfect choice for shopaholics, sheltered just behind the Corso Buenos Aires, one of the busiest shopping streets in Milan. Contemporary rooms and suites with rich furnishings & many with a private terrace. A good value choice for a city break. The Hotel Sonne in Livigno is a modern chalet hotel, which has kept its wood and fur decor and charming Alpine bar. There are just 16, chic, cosy, romantic rooms, with wonderful views, and there's an excellent spa and sauna. 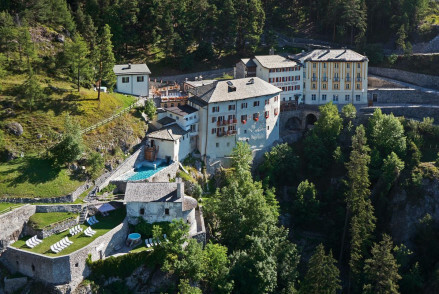 Or try Bormio’s 27 room Eden Hotel, a well designed contemporary hotel with cosy, wooden bedrooms, decor made of natural materials, lovely views, a great spa and excellent restaurant. If you'd prefer your own space, don't hesitate to visit our online partner, Booking.com for a huge range of properties across the region to suit all needs. Fly to Milano Malpensa airport, situated 50km (31 miles) from Lombardy's capital, Milan, with plentiful connections to the rest of Europe. If you'd prefer to rent a car to explore the beautiful lakes and mountains, for prices we recommend using our online partner, Rentalcars. Best time to visit - the summer months from June to September provide the warmest weather although a visit in the winter provides opportunities for skiing. Still not sure which is the one for you? Excellent alpine hotel slightly off-set from the centre of Bormio. Boasting comfortable rooms, a good dining room and beautiful views out over the surrounding valley. A great low-cost option. Il Rustico Dei Bedini makes good on its name with its delightful rustic charm. Housed in a wonderful old Italian villa, the rooms contain original design features like cavernous rock ceilings and wooden beams. With ski slopes on the doorstep, it's hard to argue with this superb B&B. Great walks - The surroundings are full of wonderful walking routes. 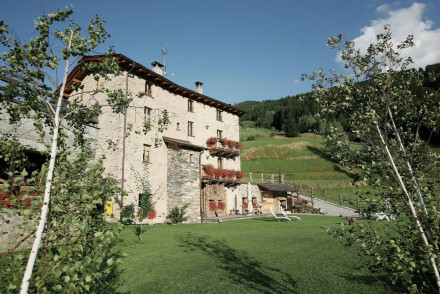 A delightful farmhouse hotel in the picturesque Lombardy countryside. Rooms mirror the hotel's rustic surroundings, with wooden furnishings and earthy colour schemes. In the evening, the restaurant serves up delicious organic vegetarian food. An ideal place for an authentic rural Italian experience. Romantic Break - With candlelite dining on the terrace, in room baths and sweeping views of the stunning landscape- romance is in the air. Eco break - A green and sustainable building model, on a biodynamic organic farm, producing organic ingrediants for the restaurant. Back to Nature - A rural Italian hideaway in a WWF Oasis for Biodiversity surrounded by meadows, woods, vineyards and orchards. Sights nearby - Just twenty miles from Milan, the city is easily accessible for a day trip. 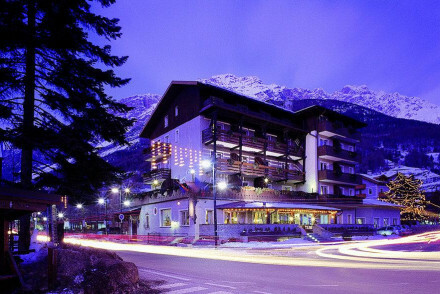 This smart, comfortable hotel is in the skiing town of Bormio. Reflecting its alpine surroundings, Hotel Baiti Dei Pini offers cosy pine-lined rooms and an excellent thermal spa. Great access to skiing in the winter and walking in the summer. Great walks - The surrounding area is full of wonderful walking routes. 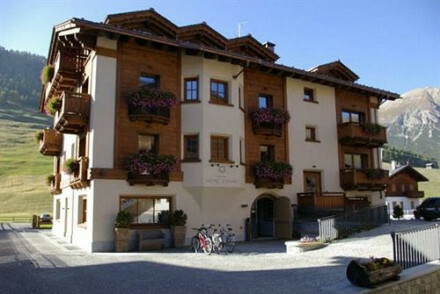 Charming, family-orientated hotel just outside Bormio town centre, a stone's throw from the Bormio Cable Car. This hotel features cosy rooms, an excellent spa and an extensive bike room. A great option for a family trip to Bormio. Fishing - Fishing trips to nearby lakes and rivers can be organised by the hotel. A renovated private estate set amid 5 hectares of beautiful landscaped gardens and parkland, offering guests outdoor pool, modern restaurant, wellness centre plus pitch & putt golf area. Rooms are elegant and comfortable with stunning views. A country hideaway with easy access to Lake Como. Other Activities - In the park there is a small area where you can play bowls. 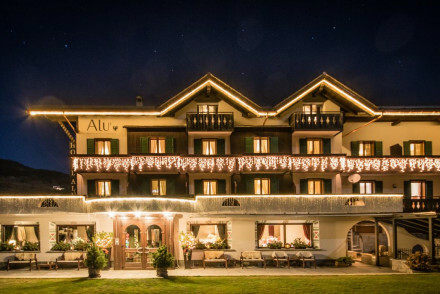 Hotel Alu Mountain Design is a classical alpine establishment with a modern a twist. The comfortable rooms are smartly appointed with tasteful furniture and fun pop art. 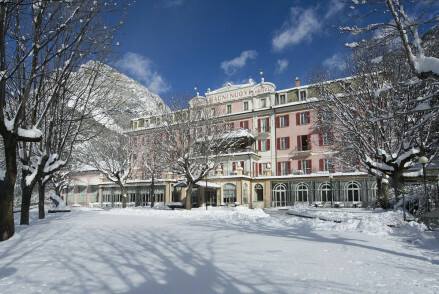 Rest your ski-wearied limbs in the hotel's excellent spa and dine in the superb restaurant. Great walks - The surrounding valley is full of great walk routes. Local markets - Explore the local market in Bormio. Excellent hotel in the centre of Bormio. Sottovento's spacious suites are decorated with minimalist furnishings and wooden panelling. The hotel's spa is a great place to relax and unwind after a long day on the slopes. 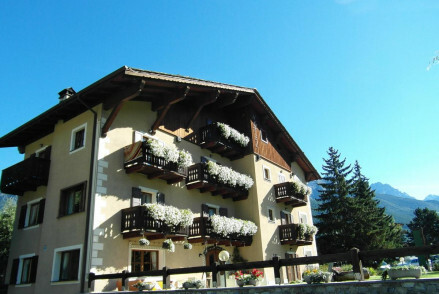 Sights nearby - Two minutes walk from Bormio's famous thermal baths. 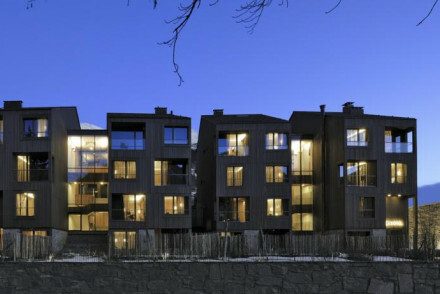 A cleverly designed contemporary hotel in a town with lots of outdoor activities. Bedrooms are cosy with wooden decor and large comfortable beds. The restaurant serves exciting dishes headed by chef Antonio Borruso. A spa is available to easy weary limbs after a day in the mountains. Back to Nature - Made of natural materiels the entire hotel has an indoor outdoor feel. An extensive resort sat within stunning surrounds with both lake and mountain views. Contemporary rooms are light and airy with floor to ceiling windows. A number of restaurants and bars with outdoor spots and a view to boot. A private beach and a wealth of activities make it ideal for families. Families - With babysitting available and an abundance of activities to choose from everyone will be kept entertained. Great walks - Nordic walking and trekking routes around Menaggio through stunning scenery. Swimming Pool - Outdoor and indoor pool. Contemporary chalet. The rooms are decorated with larch wood flooring, faux fur fabrics and exposed beam ceilings; modern and lovely bathrooms. Fantastic spa with sauna, infrared cabin and massages; charming Alpine style bar. Chic, romantic and cosy. An elegant restaurant with rooms situated in pretty rural surrounds. Spacious rooms with hints of Italian grandeur alongside more simple contemporary design. A stunning restaurant serves modern Italian cuisine. Lovely walks and cycle trials will work up an appetite. A foodie's haven. Country Escape - Beautiful surrounding countryside ideal for hiking and cycling or simply relaxing. Foodies - Modern Italian cuisine with spectacular tasting menus. Cooking classes - Every first Monday of the month sign up to step into a professional kitchen and learn to cook a three course meal. Great walks - Miles of hiking trials starting from nearby the hotel. Decorated in a modern style C Hotel focuses on elegant minimalism. Bedrooms have floor to ceiling windows, chic stone tiling and the latest technology. Guests can enjoy the spa, swimming pool and gym. The restaurant menu combines contemporary flavours with traditional Italian cuisine. 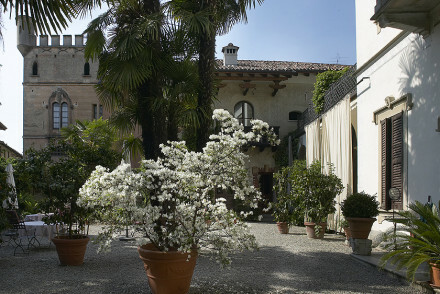 Located in a medieval square this 13th century property is part of the history of Bergamo. Minimal rooms with neutral palettes create a modern, organic look using natural materials. Sculptures and quirky accents like a library ceiling clad in books inject colour. A regional breakfast is served. Great walks - Go on one of the daily walking tours exploring the history of the old city. 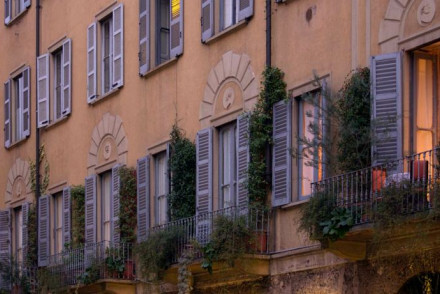 Sights nearby - The Santa Maria Maggiore Cathedral is just a couple of minutes walk away. Local markets - Take the funicolare between the old and new city. 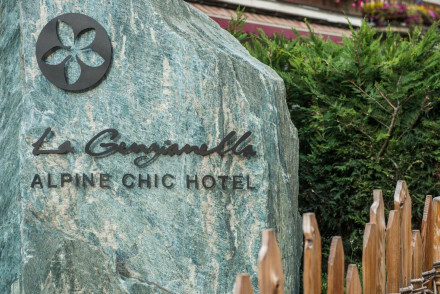 Luxury abounds at the magnificent Grand Hotel Bagni Nuovi. 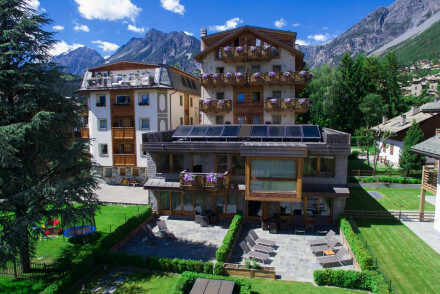 Set just outside of Bormio, it enjoys a privileged position within glorious grounds and has wonderful unobscured views over the surrounding mountains. Covering all bases and more, it's a hard place to leave once you've arrived. A famous restaurant with boutique rooms. Da Vittorio restaurant ranks as one of the best in the world and has been in the family for generations. Boutique rooms and suites have elegant furnishings. Excellent food, swimming pool and gardens, and extensive facilities for special occasions. Foodies! Cooking classes - The restaurant has a professional cookery school. 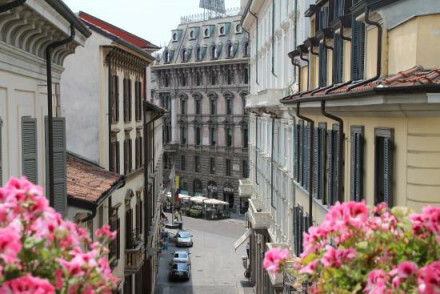 In the same family for generations and overlooking the Royal House of Savoy this property is steeped in history. Jam packed with antiques and oil paintings it has an air of grandness. High standards continue in the Derby Grill where head chef believes in seasonal cuisine. A lesson in timeless charm. 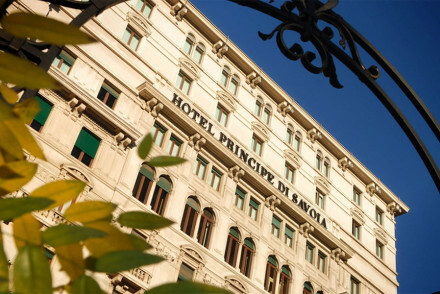 Sights nearby - The Monza's Royal Palace of Savoy and its palatial gardens are visible from the hotel and a must visit. Great walks - Through the tranquil gardens of Parco di Monza. Its hard to look past Hotel Bagni Vecchi's stunning location overlooking the surrounding valley. Built into the hillside, this luxurious hotel boasts charming rooms, a superb spa, great restaurant and a picturesque outdoor pool. With great skiing on the doorstep, it's a real gem. Great walks - The surrounding valley is full of wonderful walking routes.